[dropcap]L[/dropcap]eaders in their dozen has hailed the vision of the late Alhaji (Dr) Yusuf Maitama Sule, who died on Monday in Cairo, Egypt at the age of 89. “As a Minister in the First Republic, he was one of those who assisted our Founding Fathers, Dr Nnamdi Azikiwe, Chief Obafemi Awolowo, Alhaji Ahmadu Bello and Alhaji Abubakar Tafawa Balewa, to fashion Nigeria politically and lay the grounds of national co-existence. “Maitama Sule was blessed by God with a wonderful voice and outstanding eloquence. He served with distinction in the First Republic, the Second Military regime, as well as the Second Republic, without him being tainted with the remotest hint of scandal. “As a person, I found him personable with unceasing good humour. APC national leader, Bola Tinubu said “His death has reduced the rank of true nationalists at this time when the nation is in dire need of wise counsel on how to navigate through potential landmines. “Danmasanin Kano was a rare statesman and an orator who can move mountains with words. I related with him closely and drank from his vast knowledge. 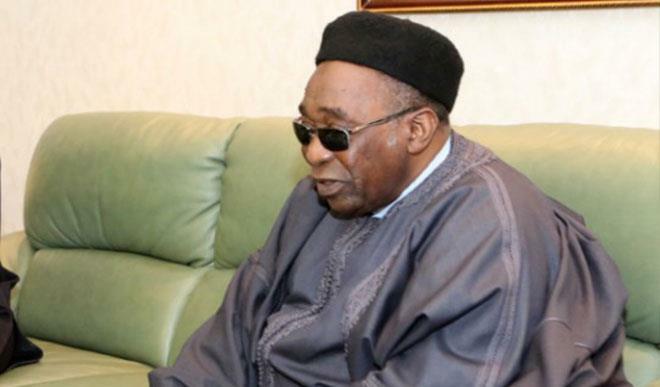 In an emotional tribute, Chairman of the Governing Board and Management of Niger Delta Development Commission, Distinguished Senator Victor Ndoma-Egba SAN has described the death of Alhaji Yusuf Maitama Sule (Danmasanin Kano) as a great loss to the Nation. “A curtain has been drawn on the stage of our national life. Maitama Sule was a custodian of our nation’s history, a link with our past and a guide to our future. He was a moral compass for selfless service and sacrifice for others and for our country. “An era has indeed been closed. He represented our past moments of sanity and order, spoke to our conscience and to our sense of reasoning. He lighted our path when we staggered in the dark and rang a warning bell and blew the whistle each time we derailed “. “He was a mentor, tutor, an advocate for Nigerian integration and indeed the father of oratory and diplomatic communication, said a statement released by Clara Braide for the NDDC chairman.